Estate Agents' contracts can be complex and cost you time and money - make sure you know what you're signing and remember that they want your business, so challenge anything you don’t like and never pay more than you need to. The HomeOwners Alliance provides members with guidance on their agreements with estate agents. To see how we can help, find out more about becoming a member of the HomeOwners Alliance. Always negotiate on the %. The agent wants your business so they’re likely to be flexible. A small lowering of the percentage might seem trivial but it can make a big difference and save you a good few thousand pounds. You may want to adjust the amount of commission you give your estate agents according to how good a job they do, to give them an incentive to do the best they can. One way of doing this would be to offer 1% if they reach asking price, 1.25% if the final price is above asking price, etc. You can also use this technique to try and push them to find a quicker sale. Some agents prefer to work on a fixed commission basis. This has the advantage of working out an exact budget for estate agents’ fees. The flip side is that the agent is not motivated to get you the best price, as they will receive the same fee regardless. You could try to incentivise the estate agent by agreeing a higher fixed fee if a higher sale price is agreed. As with % commission, always check if VAT is payable on top of the fee. Some online estate agents will ask you to pay upfront, but many offer a ‘no sale, no fee’ guarantee – which means you won’t have to pay if the sale falls through. But check the small print first. Lots of estate agents, even the big high street brands, include a tie in period. But if you end up not getting on with them or become unhappy with their service you will want to terminate the contract. Make sure your contract gives you the flexibility to terminate without incurring a penalty, and go elsewhere if you’re unhappy with your agent. Check the contract for extra fees, such as marketing (which should be included in the commission fee!) or penalties for ending the contract early. Ask for these to be removed if you don’t like them. Any additional charges need to be agreed with you in writing in advance of you being charged. Multi agency – You can use as many agents as you like and only pay commission to the one who sells your property. the more agents you get working for you, the more potential buyers you will reach, and potentially the higher the offers you will get – but you will pay higher fees. Using this approach depends on what type of property you have, and the state of the market. Read more: How many estate agents should I use? Sole agency – This is the same as sole selling but if you find your own buyer, you won’t have to pay anything to the estate agent. But if the the contract is open-ended, the agent might be able to claim commission, even years after the contract is over (see below). Imagine you were with Agent A, on a sole agency contract. You were unhappy with their service so terminated the arrangement, served your 2 weeks notice and were off. You sign up with another estate agent – Agent B – and three months later, the sale of your property goes through. 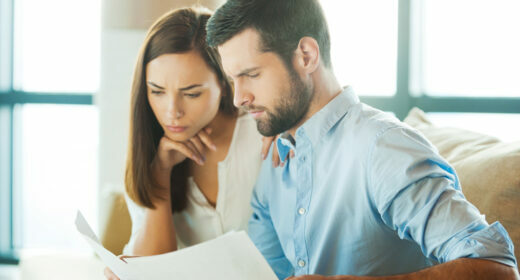 You pay Agent B the commission you owe them for selling your home only to be approached by Agent A asking for a percentage as well because they argue the purchaser was originally “introduced” by them. This could happen months, or even years after you left the original contract.